A wasteland of impenetrable gorse. Crumbling paths through dank and decaying woodland. Decrepit stone walls entombing overgrown fields. Dwindling communities living hand to mouth. One or two cars creeping along the broken roads. Silence…abandoned pubs, shuttered restaurants, deserted farms, barren villages, desolate meadows…the farmers have fled Dartmoor. 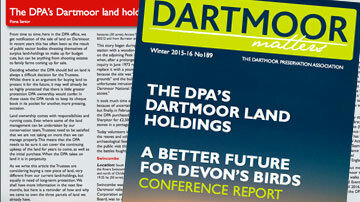 Dartmoor depends on farming – it is the foundation of its charm. Without it, the visitors would disappear, the locals – those that could – would flee to jobs and infrastructure, the land would return to marsh and thick scrub. There’s a place near where I used to live. Dogmarsh bridge, a little bridge over the Teign. 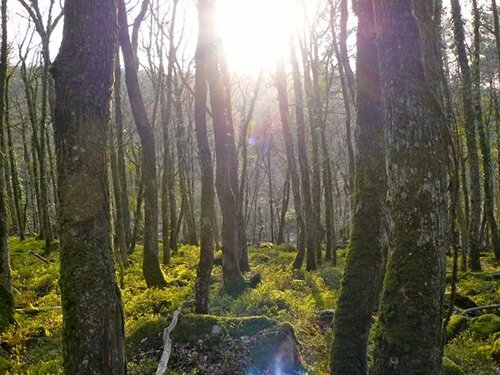 It’s on the footpath from Chagford down to Fingle Bridge – a beautiful walk . The footpath crosses the road and drifts through green-swathed fields before plunging into the grandeur of the Teign Gorge. This is Dartmoor boasting gloriously. But farm made. The river has been embanked. The massive stone blocks can just be made out, mossy faces emerging from a screen of grasses and tree roots. They still channel the river as the farmers intended. The name gives the game away. Dogmarsh. These fields used to be marsh. The Teign lazed out for a muddy wallow before taking the pell-mell tumble down the gorge. Now the marsh is drained and the fields pleasure all. 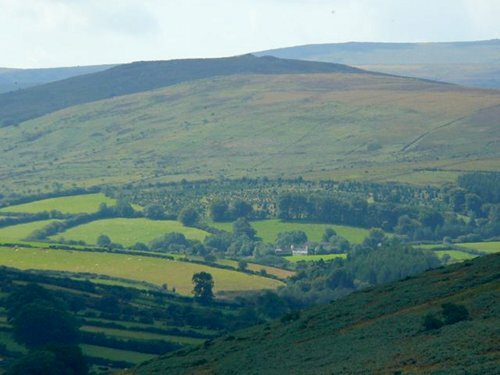 Everywhere Dartmoor is farm made and farm maintained…the woods, the moors, the fields, the rivers, the grand vistas from the tors, the humble copses in the valleys. 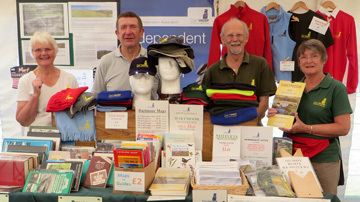 Without farmers, Dartmoor disappears…along with tourists, visitors, businesses and communities. Farming on Dartmoor is not profitable. It is labour intensive. The land is poor, the weather is poorer. There are very few economies of scale. 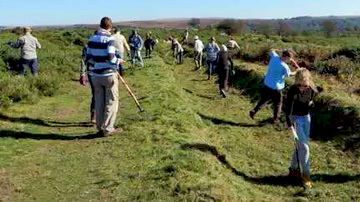 The only way that Dartmoor farmers can survive, rightly or wrongly, is with the aid of public support in the form of grants. The grants support the farmers, and the farmers support the magic. The grants come from the CAP – the Common Agricultural Policy. It is a monster. It has attackers and defenders, haters and lovers. 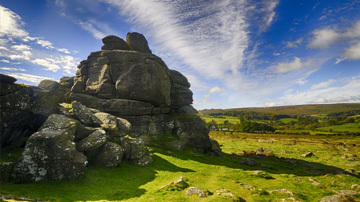 The bottom line is that at the moment CAP is one of the foundations for preserving Dartmoor. Every single person who has enjoyed the moor is touched by CAP. It affects your life – maybe your pleasure, maybe your work, maybe both.